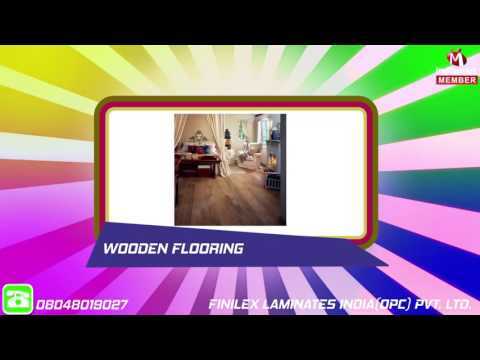 Established in the year 2001, at Ghaziabad (Uttar Pradesh, India), we Finilex Laminates India(opc) Pvt. Ltd. are the foremost Pvt. Ltd. company, engaged in manufacturing and wholesaling the finest quality range of High Pressure Laminate, Exterior Cladding, Wooden Flooring and many more. These products are sourced from our trustworthy market firm. Owning to their features such as easy installation, durability, attractive design, scratch resistance, and smooth finish, our offered products are widely demanded in the market. Our provided products are well-manufactured at our firm end using the qualitative grade wooden material and latest techniques. The offered products are available in various attractive patterns and other related specifications as per the requirements of our esteemed clients. We have gained huge appreciation from clients for our wide distribution network, nominal price structure, prompt delivery, ethical business policy, and client centric approach.